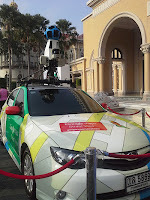 เมื่อวันเด็กแห่งชาติที่ผ่านมา Google ประเทศไทย เป็นผู้ใหญ่ใจดีนำความสนุกสนาน และเนื้อหาดีๆ ให้น้องๆ และผู้ใหญ่ได้กลับไปเป็นเด็กอีกครั้งอย่างสนุกสนานพร้อมรับความรู้กันที่ทำเนียบรัฐบาล โดยจัดบูธที่สะท้อนแนวความคิด "เรียนรู้อย่างสร้างสรรค์" และ "เรียนรู้ไร้พรมแดน"
ที่พ้องไปกับคำขวัญวันเด็กที่ว่า "รักษาวินัย ใฝ่เรียนรู้ เพิ่มพูนปัญญา นำพาไทยสู่อาเซียน"
มุม "ภาษาอาเซียนพาเพลิน" ก็ได้รับความสนใจอย่างมากเช่นกันเมื่อน้องๆ ต่างค้นหาความหมายของคำ และการอ่านออกเสียงในภาษาอื่นๆ ในอาเซียน หรือฟังคำทักทายหรือคำขอบคุณในภาษาประเทศเพื่อนบ้าน หรือเพื่อไว้คุยกับเพื่อนๆ ชาวอาเซียนที่มาร่วมในงานเหมือนกัน ซึ่ง ฯพณฯ นายกฯ ชมว่า "กำลังต้องการ app ดีๆ อย่างนี้พอดี สำหรับการเปิดเสรีอาเซียน"
The Google Thailand booth at National Children’s Day attracted the young and the young at heart over the weekend with a variety of activities in line with the 2013 motto “Uphold Discipline,Enhance Knowledge, Bring Thailand toward ASEAN. 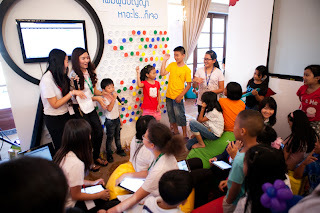 It wouldn’t be Google if it wasn’t fun, so our team set up “Creative Learning” and “Learning Without Borders” areas featuring online edutainment activities to help children broaden their horizons and have a great time while doing it. 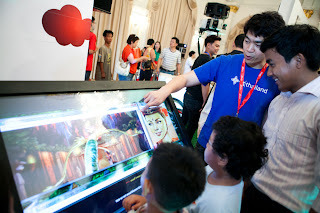 Ramayana Online which is scheduled to officially launch soon, captured children’s imagination by bringing traditional folk stories online and making them interactive as part of the latest Chrome experience - digitizing Thai culture for generations to come. Be Smart with Google Search had young visitors working hard to find the answers to a list of 500 questions with the help of Google for the chance to win great prizes. 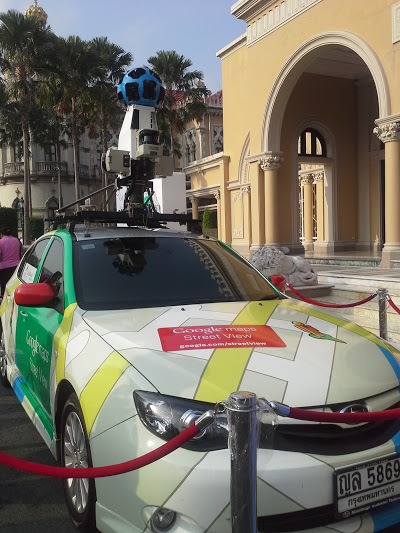 Google Street View gave young virtual travellers a chance to get up close and personal with Street View cars and the trike and take pictures. 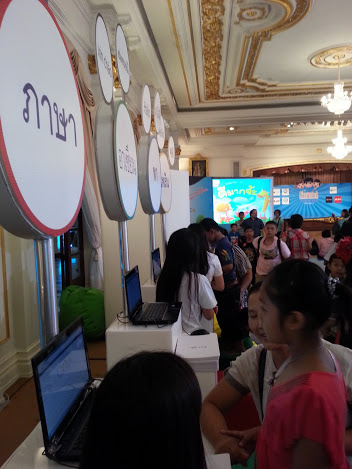 Children also lined up to explore street view imagery searching for everything from their homes, schools and favourite parks to the World Seven Wonders and ASEAN landmarks. 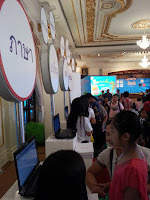 Google+ Hangouts was a crowd favourite allowing children in Chiang Mai and Chiang Rai the opportunity to be part of all the fun through a live video chat with children in Bangkok. And the big surprise of the day was when Prime Minister Yingluck stopped by for a quick chat to send warm wishes to children everywhere. If you missed out on the fun this year, we hope you enjoy the photos and our commemorative doodle. The Google Thailand team would like to thank everyone who visited us and hope that we can, in our own small way, help inspire Thai youth to get creative as they learn with the help of the internet.